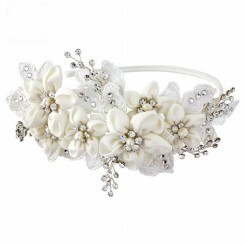 The opulent floral wedding headpiece – Evangeline has two exquisite, glossy rich ivory roses framed with glittering crystal embellished, stylised leaf detail. 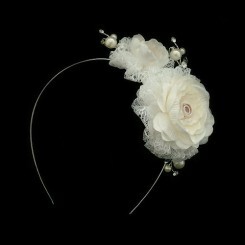 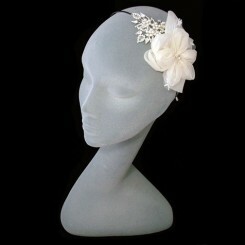 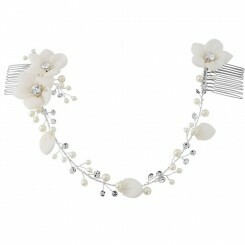 Swarovski crystal navettes and ivory pearl accents add a luxurious finishing touch to this fantastic floral wedding headpiece. 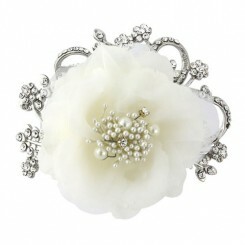 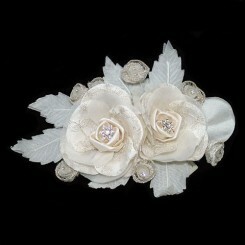 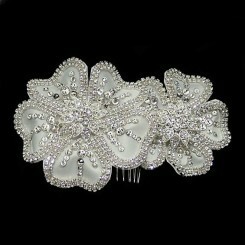 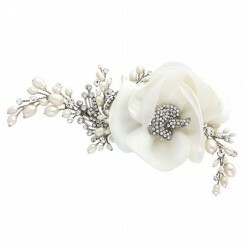 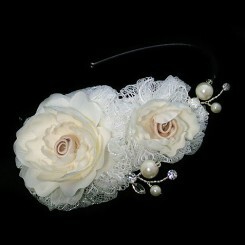 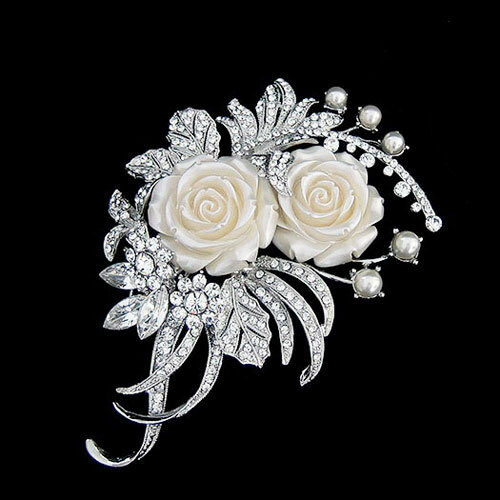 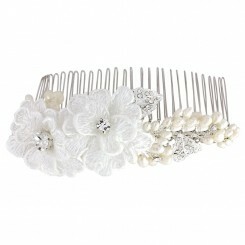 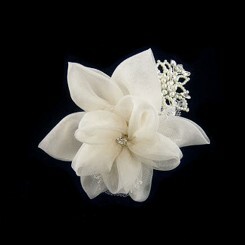 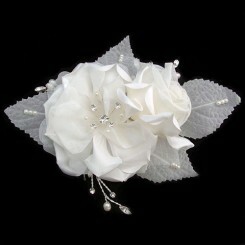 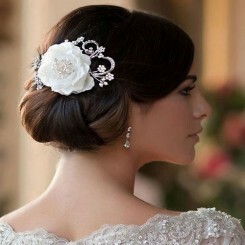 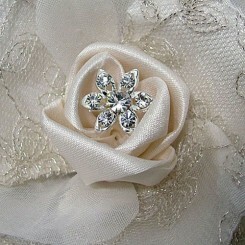 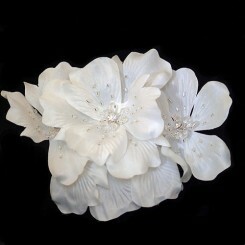 The Evangeline bridal hair ornament is set on a crocodile clip for ease of wear and measures approximately 12.5cm x 8.5cm.